This is the story of two childhood best friends whose relationship is nearly destroyed by social pressures in middle school. While Eric is determined to make himself as invisible at school, Joey finds it impossible to keep pretending to be a boy. This story is told from Eric’s perspective and I kinda love that he isn’t a hero – he’s just a kid trying to survive middle school without drawing attention to himself or his increasingly scary home life. Eric makes some awful decisions and keeps some pretty huge secrets. Joey is both stronger and more vulnerable than Eric. Joey refuses to compromise herself but the reactions of her father and the kids at school soon destroy her self-esteem. And while Joey suffers emotionally, Eric starts to suffer physically as he attempts to manage on his own without food, electricity, or heat. The one aspect of this story that doesn’t ring true for me is Eric’s mum’s transition from absent parent to supermom. As an experienced foster carer, I’ve never yet seen anything like the miraculous turnaround Eric’s mum makes in a relatively short period of time. I worry that this storyline could give kids like Eric unreasonable hopes and expectations. Mia Kerick always makes me cry. Her writing is beautiful, and I love the way she makes Eric’s voice feel authentic in this story. I think the author captures Joey’s sense of identity well, but her experience is pretty brutal. At the moment, I’m caring for a child the same age as Eric and Joey and I know from their stories that not every trans child has experiences as difficult as Joey’s. As an English teacher, I think this story is useful for kids who are learning lessons about acceptance and inclusion. I like the way the book explores friendships, peer pressure, and loyalty. However, I do worry that Joey’s story could cause unnecessary fear and anxiety for kids who are already struggling with gender and identity. I do like the sense of hope that infuses the end of the story and I really enjoy the resilience we see in both Eric and Joey. Mia Kerick is the mother of four exceptional children, a political Progressive, and a writer of multiple award winning YA LGBTQ fiction that focuses on emotional growth in complicated relationships. Her books have been featured in Kirkus Reviews magazine, have won a 2015 Best YA Lesbian Rainbow Award, a 2017 Best Transgender Contemporary Romance Rainbow Award, a Reader Views’ Book by Book Publicity Literary Award, the Jack Eadon Award for Best Book in Contemporary Drama, a YA Indie Fab Award, and a Royal Dragonfly Award for Cultural. 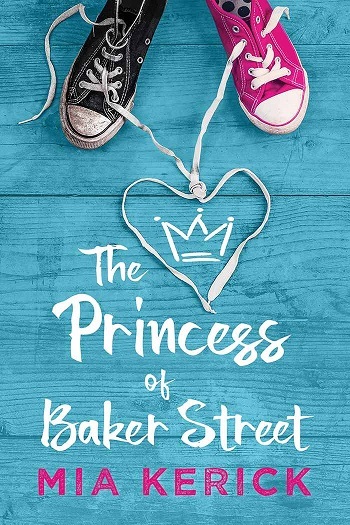 Reviewers on the Wicked Reads Review Team were provided a free copy of The Princess of Baker Street by Mia Kerick to read and review.